What's special about a futon? It's a piece of furniture with a future. These days people find themselves in something of a dilemma. 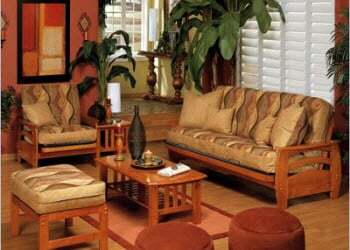 Prices are getting higher and a good sofa or sleeper sofa is expensive. But getting something too trendy or cheap is wasteful. What do you do? Fall is here! Time to have friends over to watch that football game or company in town to enjoy the season. Maybe your family will take friends and family to your weekend retreat in the mountains. You'll be ready with extra seating and extra sleeping space with one great futon. For your home, that extra room, or weekend retreat, futons fit the bill. Comfortable, versatile, and easy to clean covers. Perfect for any family. Where would you use a futon? Anywhere you want comfort and efficient furniture. They really do fit anywhere anytime. 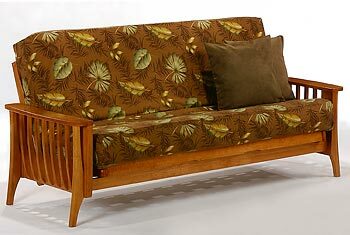 Futons come in so many different price ranges, styles, colors, and materials - your choices are endless! 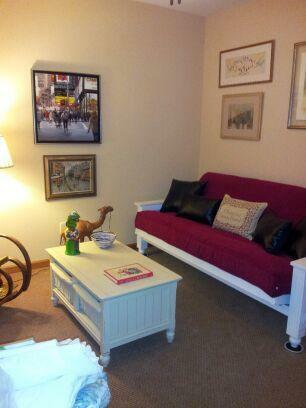 Dress up one up for your living room or put a playful cover and pillows on your futon and put in a baby nursery. 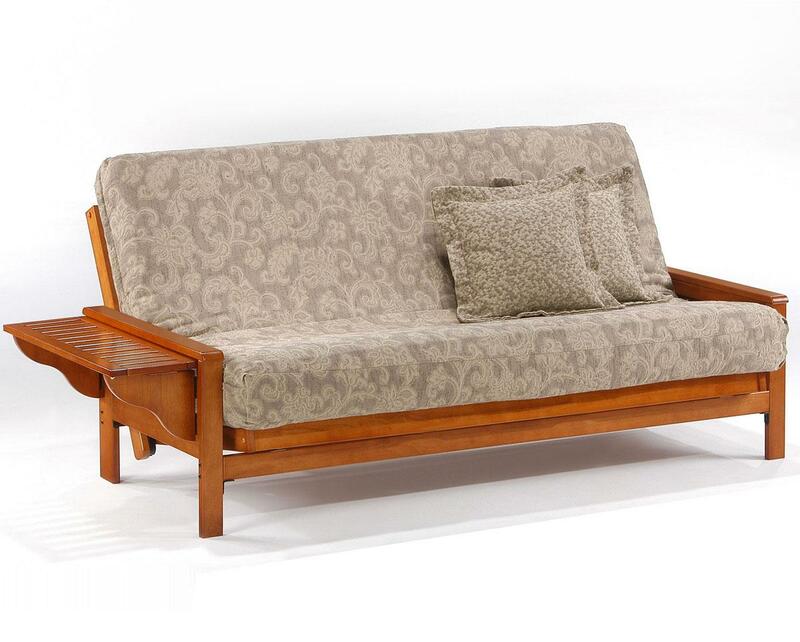 Use a wicker or light pine futon for a lake house or pool house. Home offices or studies are a popular place for a futon too. You can never tell where you will find one. 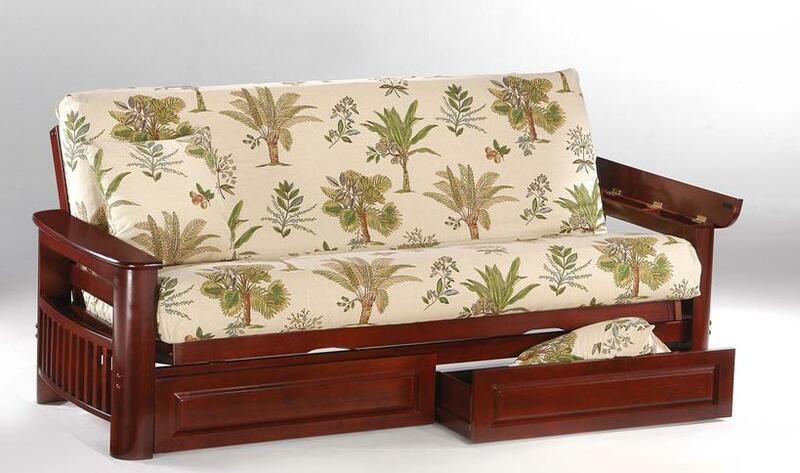 Futons are the perfect solution for giving a caregiver a comfortable place to sit and sleep. During the day it looks like a chair or sofa and at night it turns into an extremely comfortable bed. 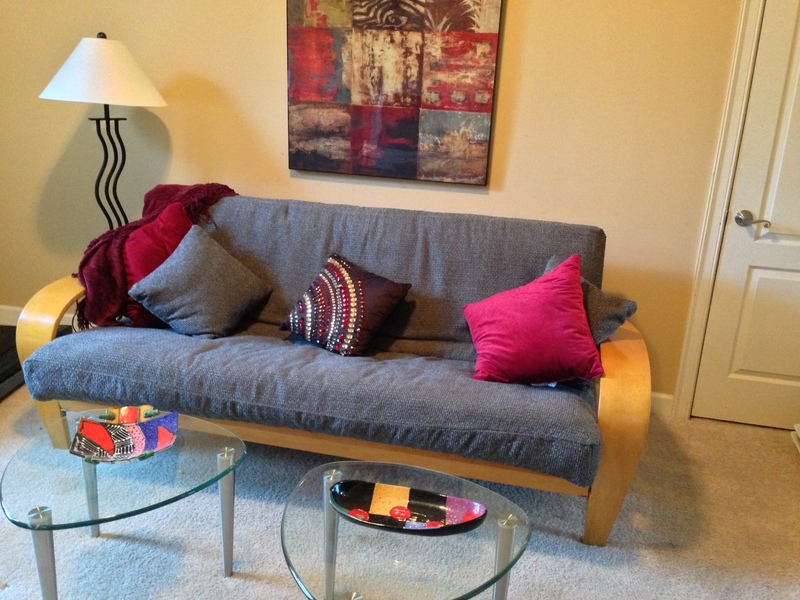 A futon doesn't have to be large or take up too much room. 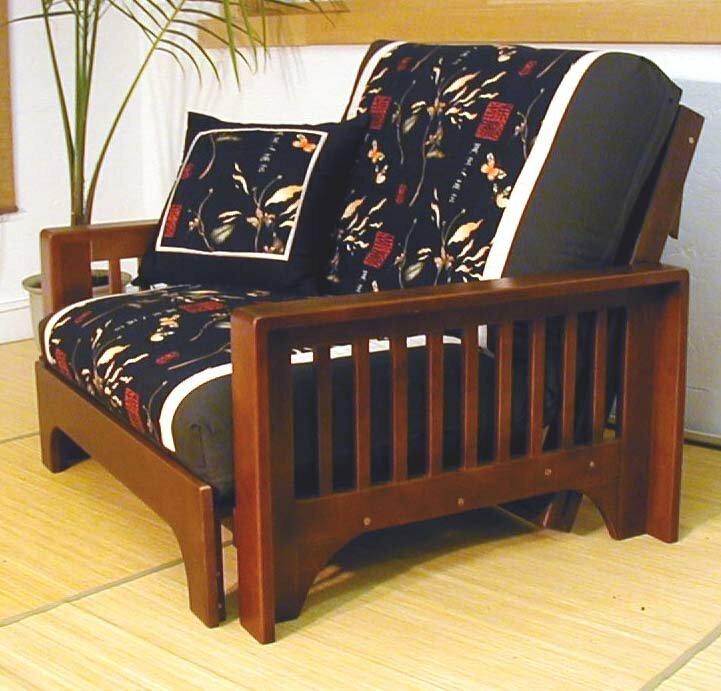 Futons are available in all sizes, finishes, and designs. They easily can blend into your room. Covers help coordinate your futon with your current furniture. Small spaces, loft apartments, and tight places require just the right furniture to make it seem larger and more functional. Futons are perfect for giving you living and sleeping space all in one spot. Drawers placed underneath give you extra storage too. 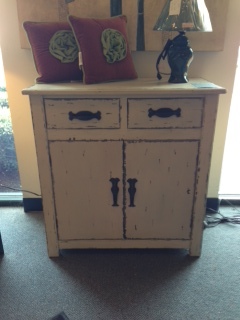 Something like a steamer trunk or coffee table with baskets with inside storage are important. Folding or drop leaf dining tables and small scale chairs work well to make your area more usable. Father's Day is the perfect time to create a man cave designed for your man. Make his room perfect for recreation, hobbies, watching TV, or just relaxing after a long day at work. You don't have to have a huge area; any small bedroom or bonus room will work with the right furnishings, paint color, and accessories. Give your man a modern day refuge in which to escape. The smaller the room, the more creative you'll need to be. Going up as well as out saves room in a smaller space. Every week customers are coming back into our store or calling to let us know how much they love their futons. I just love it when customers let us know how our products are working for them. We wanted to share some of these stories with you. If you are a little worried about getting a futon or don't think one is right for you, you need to read this. This all describes a futon? WRONG! Obviously you've never Seen, Sat on, or Slept on a really nice futon. Even the best decorators will use futons at times, either as the main attraction in a room or as accent seating in a living area that's meant to be muti-functional. There are several questions I always ask customers to help them focus on what they need before purchasing a futon. Price tags alone will not give you the full story. Because futons can be modular and customizable, questions like the following are important for helping you to understand what you might need. 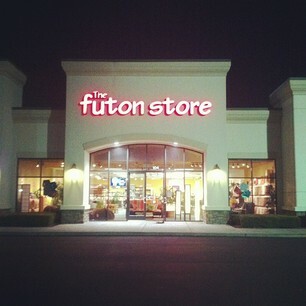 I was just thinking about customers coming or not coming into our futon store because we have the name futon on the door. Futons for some reason get a bad rap. Why is that? Have you been into our store recently? Were you pleasantly surprised? Would love to hear your impressions.